Lau Kin Wai knows what it is like to miss out on a good opportunity. 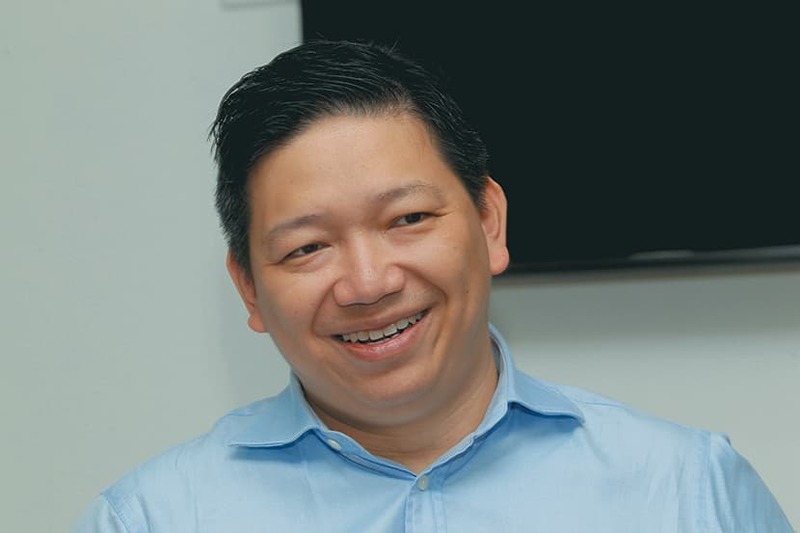 As one of Malaysia’s early adopters of the internet in the 1990s, he has regretted not taking full advantage of the resources available to him back then. So, he has decided to redeem himself by investing in cryptocurrency-related businesses as he believes these currencies are the most important breakthrough since the birth of the internet. Lau, now 42, only began looking into the world of cryptocurrencies early last year. At a conference, he got into a conversation with other venture capitalists who were discussing the cryptocurrency revolution. “They were saying that while it is still early days, there may come a time when start-ups no longer go to venture capitalists for funding as they would probably raise funds via initial coin offerings (ICOs),” says the CEO of Australia-listed venture capital and development firm Fatfish Internet Group. “At the time, I did not know what an ICO was, so I did some research. When I learnt that it was a superior crowdfunding mechanism and that companies were raising millions of dollars by launching it, I knew it was going to be far greater. Lau, who graduated with a degree in electrical and electronic engineering, has always been interested in technology. So, when the opportunity arose, he dropped out of his PhD in engineering programme at Imperial College London to start his own tech firm. He has since made a name for himself as a tech entrepreneur in Southeast Asia. Lau was only 23 when he became co-founder and managing director of Viztel Solutions Bhd, a telecommunications and mobile internet software start-up. In 2005, when he was 28, he launched an initial public offering for Viztel on the then Mesdaq Market of Bursa Malaysia. This made him one of the youngest managing directors of a public-listed company in Southeast Asia. “I started out as a generation one internet entrepreneur. I began building internet companies in 1999, right at the beginning of the internet revolution and the middle of the dotcom bubble,” says Lau. As someone who experienced first-hand the dotcom boom and bust, he thinks the possible bubble in the current cryptocurrency market would be a very similar situation. “During the dotcom bubble, not many people fully understood the internet before jumping on the bandwagon — they focused purely on speculation. That drove up the price of stocks associated with the internet and it eventually led to the bust,” says Lau. “Then, the industry went through a consolidation phase and people began to realise that they should not have relied purely on speculation. Eventually, the internet became the key driver of technological disruption as we know it today. Despite being one of the early adopters of the internet in the country, Lau regrets not taking full advantage of its true potential in the early days. “When I got out of college, I just wanted to do something cool. That is why I started developing internet software. It accidentally became a career and a business opportunity, but it was not something I fully appreciated. If I had, I would have been more successful,” he says. In the cryptocurrency sector, Lau’s firm has adopted an “infrastructure play” strategy — investing in companies that offer platforms or services that the ecosystem requires to function. “For example, we invested in a digital currency exchange because people would want to be able to convert fiat money into cryptocurrencies and vice versa. That is part and parcel of the infrastructure. Then, we invested in a cryptocurrency mining company because the blockchain network needs servers to function,” he says. According to the investor information on its website, Fatfish made its first cryptocurrency-related investment last December when it poured US$1 million in seed capital in a yet-to-be launched online cryptocurrency exchange in Singapore called Kryptos-X. The exchange was founded by prominent Australian entrepreneur Tony Mackay, who previously started two alternative stock-trading platforms with operations across Europe, Australia, Canada and Japan. Within the next few weeks, Fatfish announced a few more cryptocurrency-related investments. To tap the huge demand for ICO issuances in Asia, it invested in Singapore-based ICO advisory and marketing service provider CryptoFoundry. Fatfish also has a 12.5% stake in Altairian Capital Holdings Ltd, the first institutional crypto-asset financial service provider approved by the UK Financial Conduct Authority. Altairian Capital provides custody solutions, offering the world’s first insured crypto-asset safekeeping. Most recently, Fatfish has invested in UK-based fund management business Epsilon Capital Management, an institutional fund of funds that focuses exclusively on blockchain, cryptocurrency hedge fund and liquid venture capital investments. Fatfish is not only focusing on institutional clients in its cryptocurrency-related portfolio. On Jan 11, the firm invested in crypto-mining company Minerium, which was previously known as APAC Mining. The company has developed a managed investment model that allows its customers to own their own bitcoin mining rig. Cryptocurrency mining refers to the process of adding transactions to the blockchain. It involves creating a hash of a block of transactions that cannot be easily forged, which protects the integrity of the entire blockchain without the need for a central system. Miners compete with each other to solve complicated mathematical problems using cryptographic hash functions that are associated with the block of transaction data. As a reward for confirming these transactions, miners earn small amounts of the cryptocurrencies they mine. “It is not easy to mine at home. People who have tried doing so will know it is not a viable option. It is just too noisy and too warm — the computers generate a lot of heat. If you leave the computers running 24 hours a day in your bedroom, you will turn your bedroom into a sauna,” says Lau. He says Minerium’s service is even suitable for beginners as the company handles all the hardware and infrastructure set-up and maintenance. This allows its customers to focus on mining and not having to worry about the lack of necessary equipment, high electricity bills, machine temperatures and connectivity problems. To start, investors need to make a one-off payment of US$750. This entitles them to full ownership of the mining hardware, which will be set up at Minerium’s mining farm. At the end of each month, they are charged a hosting fee, which is deductible from their monthly mining output. Minerium’s first cluster of mining farms was set up in Klang, Selangor, to take advantage of the relatively low industrial electricity tariffs. On Oct 17, Fatfish announced that Minerium had secured an industrial site in a satellite town of Ulan Bator, Mongolia, that will be converted into a crypto-mining farm. Previously, Minerium secured a mining site in Quebec, Canada, but it has since diverted its resources to build the new site in Mongolia. According to a statement by Minerium CEO Joanna Alicja, the company’s facility in Mongolia will have the cheapest electricity cost in the world, with rates as low as US$0.035 per kWh. He acknowledges that the firm is playing in a space that is highly scrutinised by regulators globally. However, he points out that the cryptocurrency sector is already well regulated in many parts of the world while better regulations will be introduced in many other countries in the future. This is due to the fact that the technology behind cryptocurrencies relies on internet connectivity to work. “Fundamentally, the internet is not 100% regulated and it will never be. I don’t think it should be. If it is, it loses its privilege of being a technology that is not controlled by anyone,” says Lau. The cryptocurrency sector will continue to be favoured by Fatfish as it looks for more opportunities to make investments in this space, says Lau. He adds that it is encouraging to see more people choosing to be paid in cryptocurrency instead of fiat money. Moreover, the amount of money coming in from institutional investors further validate the digital coin market. “Very recently, the Yale University endowment — the second largest university endowment in the world, which is valued at almost US$30 billion — invested in a cryptocurrency fund called Paradigm. That is quite an important milestone as a university endowment fund is presumably risk averse. Its team of investment analysts must have put a lot of thought into making that decision. To me, that signifies something good for the cryptocurrency market as a whole,” says Lau.